According to folklore on Groundhog Day, if it is cloudy when a groundhog emerges from its burrow on this day, it will leave the burrow signifying that winter-like weather will soon end. If it is sunny, the groundhog will supposedly see its shadow and retreat back into its burrow, and the winter weather will continue for six more weeks. * Best Wishes to the Chamber of Commerce as they hold their annual Groundhog Breakfast – Friday, February 3rd at 6:00am at Adena Hall on the Newark Campus. 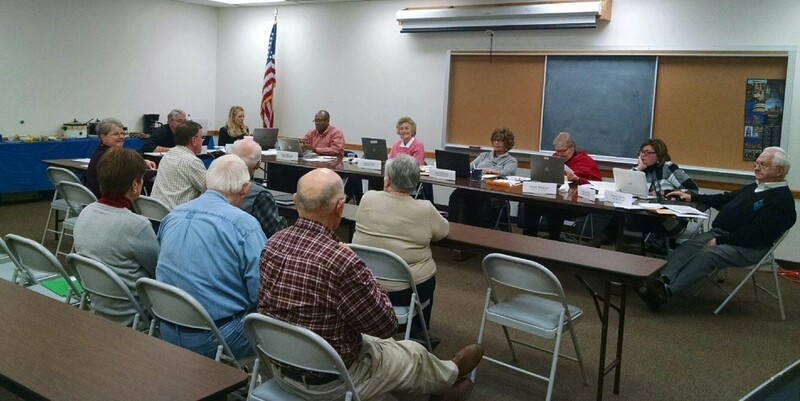 Reorganizational meeting of the Board of County Commissioners saw a few important changes worth noting. Commissioner Duane Flowers was elected to serve a one year term as President of the Board and Commissioner Rick Black will serve as Vice-President. Having served as President of the Board for twelve years, this gives Commissioner Tim Bubb a chance to focus on a more active role with CCAO’s Board and Executive Committee, among other things. Commissioners Flowers and Black are looking forward for the opportunity to provide leadership to the County during the 2017 year that holds promises and challenges to the County. The County Commissioners have decided to allow, on a limited basis, the adoption of dogs that are full bred or mix breed pit bulls. The Commissioners noted that pit bulls have been successfully placed with potential adopters through rescue organizations. Also, the number of pit bulls impounded at the County Dog Shelter and Adoption Center in 2016 increased by 55-percent over 2015. These increased numbers have increased the Shelter's dependence on non-profit rescues to place more dogs, and the need for other options. 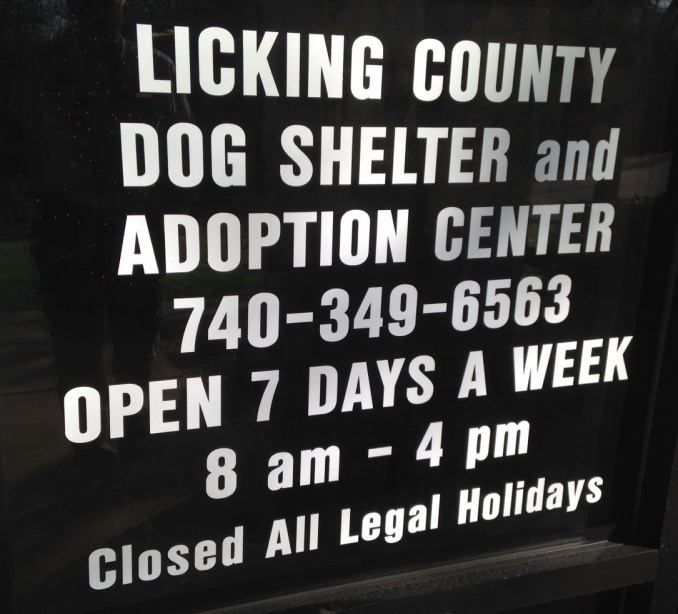 As a no kill Shelter, Licking County is always looking for practical and reasonable ways to decrease the length of stay for all of our impounded dogs before they find a home! In 2016 the number of impounded dogs returned to their owner increased by 58-percent from 2015. Your County Dog Shelter hopes that offering pit bulls and pit bull mixes will have a similar success rate of shortening the time the dogs are held waiting to be rehomed. The County Commissioners directed that pit bulls be screened for adoption prior to being made available, and will be spayed or neutered before the new owner takes possession. Also, if a potential pit bull adopter is currently a renter, approval of the landlord is required prior to adoption. The adoption fee for all dogs is $125 which includes a current dog license, vaccinations, microchip, and spay or neuter. Pit bulls are still available for nonprofit rescues to pull for placement. 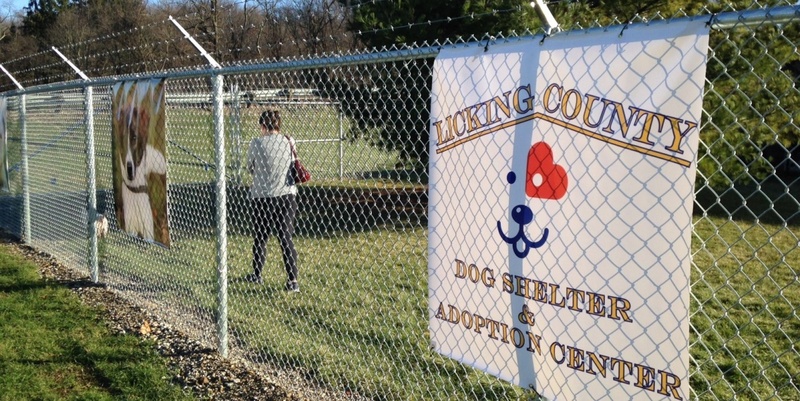 For more information on adoption from the Licking County Dog Shelter and Adoption Center, at 544 Dog Leg Road just off Hopewell Drive in Heath, call the staff at 640-349-6563. 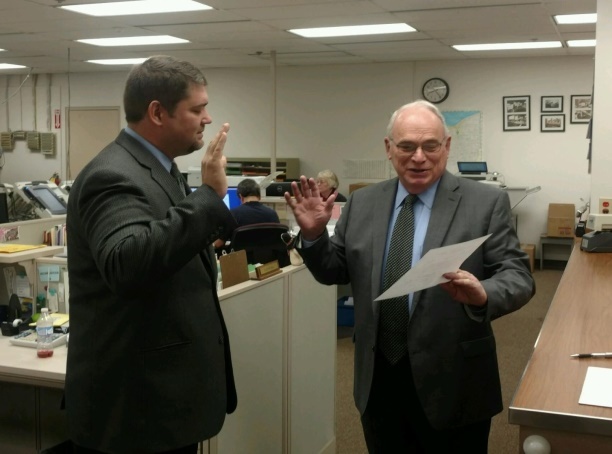 Congratulations to Brian Mead, of Johnstown, sworn in January 10th as the new Director of the Licking County Board of Elections. Brian replaces Gloria Carson who recently retired and who gave two decades of hard work and leadership to the Board of Elections! 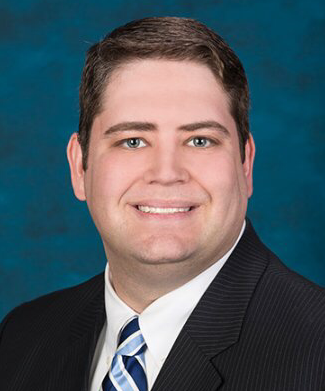 We will miss Gloria's leadership, but also look forward to working with Brian He is a bright young man who was formally a staff member with CCAO, the County Commissioners Association of Ohio. Brian was sworn in by new Licking County Prosecuting Attorney Bill Hayes. A critical concern is replacing revenue lost from the removal of the Medicaid Managed Care Organization (MCO) sales tax: In SFY 2019, the county and transit authority portion of the Medicaid MCO tax was predicted to yield $200 million. As such, the elimination of the Medicaid MCO sales tax creates significant fiscal problems for counties and the residents we serve. In Justice and public safety services, which are being strained by the spike in addicted individuals going to county jail. A solution is needed to the State’s involvement is paying for Ohio’s replacement voting equipment, mostly purchased in 2005 and 2006, and nearing the end of its lifespan. Following Ohio’s procurement of electronic poll books, a combined effort among CCAO, Ohio Association of Elections Officials, Secretary of State’s office and Department of Administrative Services (DAS), has developed a proposal for voting equipment replacement. The Counties through CCAO aim to secure a minimum state-to-county reimbursement rate of 50 percent for indigent defense, to provide full reimbursement for death penalty cases, and to continue researching system reforms to assist counties in carrying out the state’s constitutionally mandated obligations. 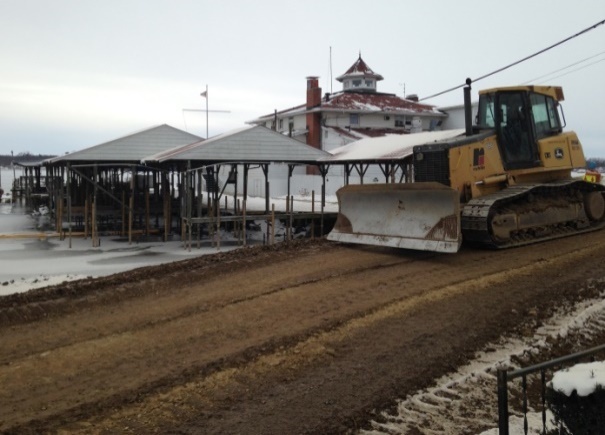 Good weather conditions in January have been an asset as work continues on the City of Newark’s Sewer Separation/Infrastructure project and the County’s renovation and restoration of the Historic Licking County Courthouse. The George Igle Company continues their $19-million two-year sewer replacement project. 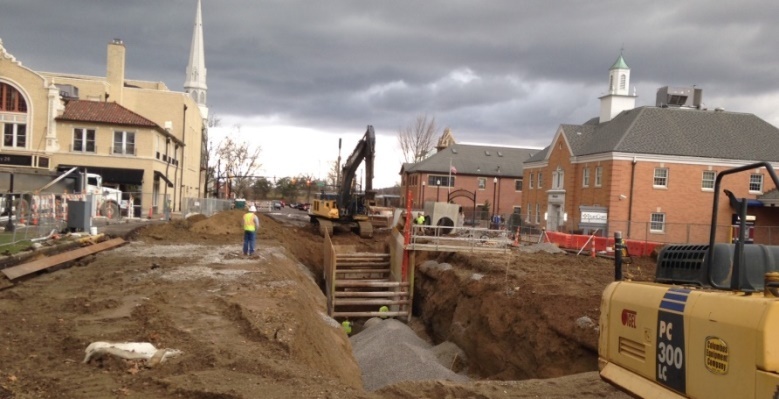 Now through July they are removing aging infrastructure, and installing new sanitary and storm sewer lines in the area of North Second Street between East Main and Locust Streets. The current work is causing detours on North Second and North Park Place. Below – the City Sewer project seen from a view atop the Courthouse. Meanwhile, the Mid State Restoration Company is working to restore the Tower of the Courthouse with new metal replicating the ornate pieces that had rusted beyond repair. Eight newly replicated dormers have been installed, and work continues on the southeast side replacing the failing soffit and drainage system. 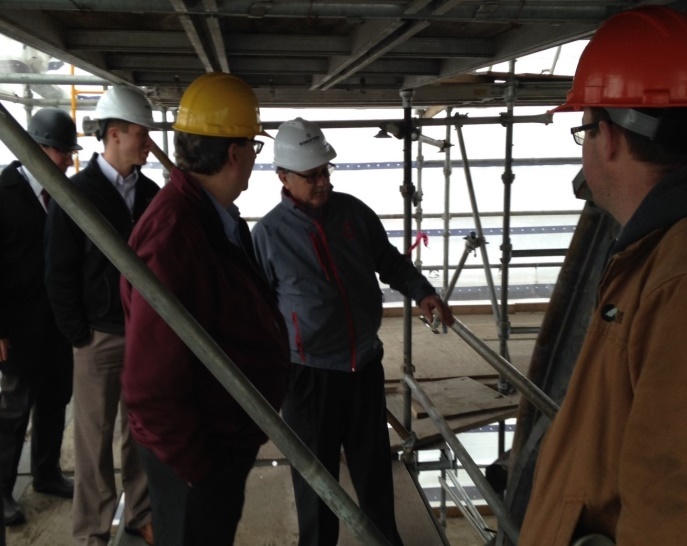 The upper scaffolding will be removed late spring to allow for work on the roof replacement to begin. Plans are being finalized to repair the electrical wiring, restore lighting and add a new elevator to the inside. The Historic County Courthouse was constructed in 1876-78, and in recent years has been showing its age and necessitating the extensive repairs. 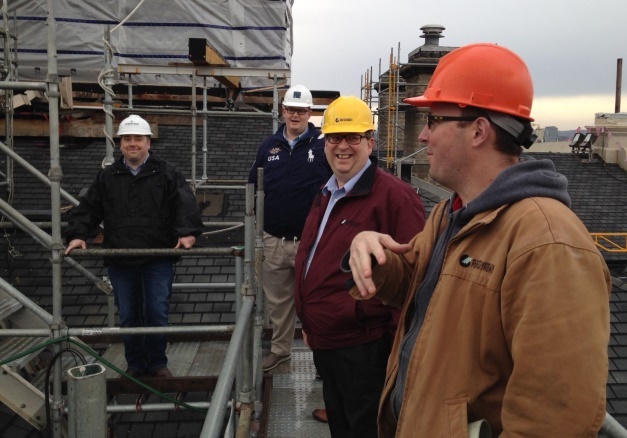 Here several shots from a recent inspection visit on the Courthouse. 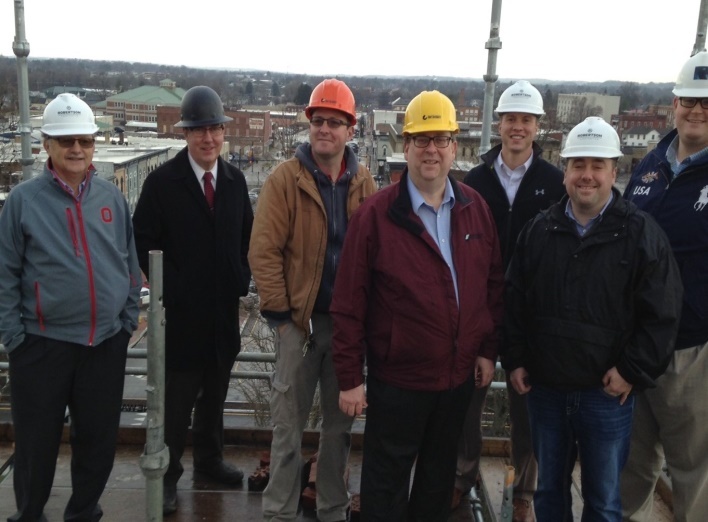 Commissioners Tim Bubb and Duane Flowers, and Project Manager Nick Conger of Robertson Construction, were accompanied Rick Platt and Clarence Cottrell of the Port Authority; City Councilman Ryan Bubb, Spencer Barker and Nick Adams, of the Courthouse Christmas Lighting Committee; and Dave Edelblute the Administrator of the Juvenile-Probate Court on the site walk-up inspection. The restoration project, which represents the salvation of this historic and iconic building, is on schedule to be completed in late 2017. 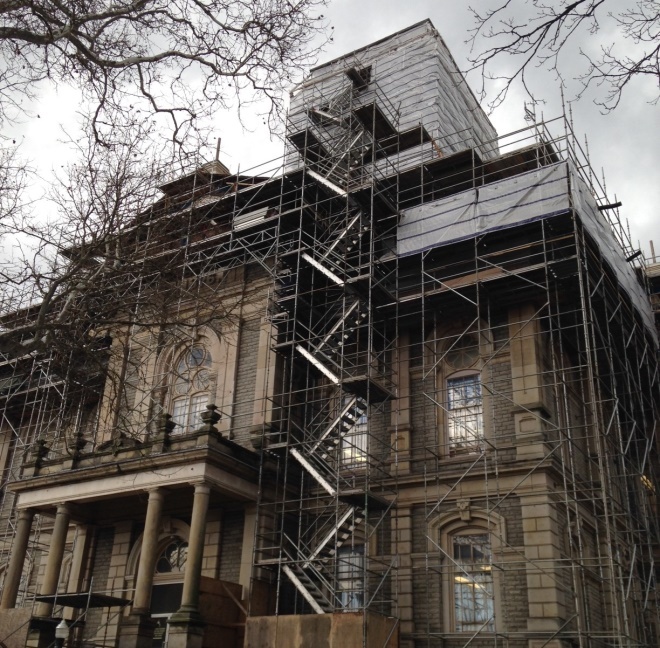 In addition to the extensive exterior work, the project will include replacement of antiquated wiring, new exterior lighting, and the elevation to serve the thousands each year who use our 1876 Courthouse. 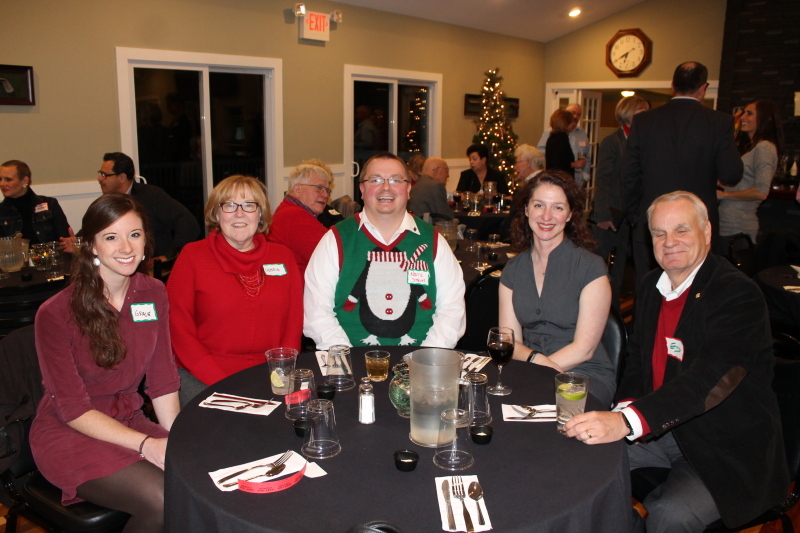 A newly formed group, Young Leaders of Licking County, is affiliated with the County Chamber of Commerce and is working to expand the potential of our area’s new leaders. 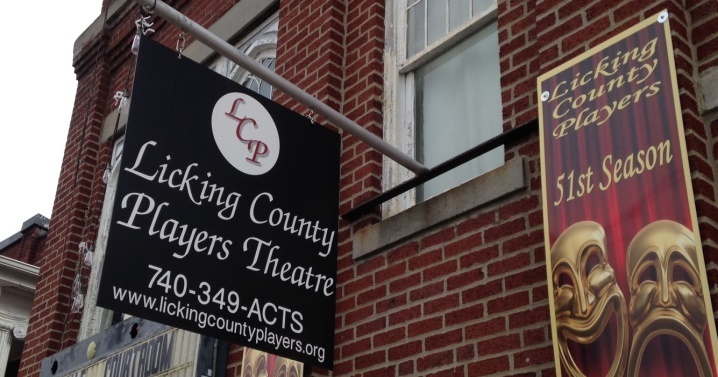 The organization is working to grow its membership, designing professional development opportunities and providing a resource for mentorship and friendship for anyone age 21-40 who work, live or worship in Licking County. They are planning events for 2017 on topics such as professional development seminars and philanthropic opportunities are being considered. If you, a friend or coworker falls within this age group, I would encourage you to get that person involved with Young Leaders of Licking County. February events include a tax prep seminar for members on February 8th with Wilson, Shannon and Snow, certified public accountants. On February 18th, Young Leaders of Licking County is giving back to the community by assisting Habitat for Humanity in the construction of a house in Newark. To learn more about how Young Leaders of Licking County find them on Facebook, or visit www.YoungLeadersofLC.com for event information on how to join. In January U.S. Senators Rob Portman and Sherrod Brown, along with Representative Pat Tiberi, have announced passage of legislation to honor fallen Ohio soldier and Bronze Star recipient Daniel Kinnard. The law designates the Department of Veterans Affairs Community Based Outpatient Clinic (CBOC) in Newark as the Daniel L. Kinnard Department of Veterans Affairs Community Based Outpatient Clinic. According to Senator Portman - “Specialist Daniel Kinnard was an American hero who gave his life so that others could live. At 19 years old, Daniel was serving in the legendary 101st Airborne when he was killed in action while tending to the wounds of his fellow soldiers. “Specialist Kinnard made the ultimate sacrifice while serving his country in the Vietnam War,” Senator Brown said. “It’s only fitting to name the Newark VA clinic after one of Licking County’s most heroic sons – ensuring his service will be remembered for generations.” A re-naming ceremony date has not been set. NOTE: Daniel L. Kinnard was born on October 21, 1949 in Central Ohio. While living in Newark, Kinnard enlisted in the Army at Fort Hayes on November 14, 1966. He served bravely as a medic in the 101st Airborne Division, the famed “Screaming Eagles,” during the Vietnam War. On February 17, 1968, Specialist Kinnard’s unit made contact with enemy positions in a hedgerow and two of the point men were seriously wounded. Without hesitation, Specialist Kinnard rushed through heavy enemy fire to reach the wounded men. With complete disregard for his own personal safety, Specialist Kinnard remained exposed to enemy fire while he treated the wounded men. Specialist Kinnard organized an evacuation under fire after he administered first aid. Specialist Kinnard was awarded the Bronze Star for Valor for his actions that day. On March 9, 1968, Specialist Daniel Kinnard was killed in action while rendering aid to his fellow paratroopers. Specialist Kinnard was awarded the Sharpshooter Badge with Rifle Bar, Parachutist Badge, Combat Medical Badge, National Defense Service Medal, Vietnam Service Medal, Vietnam Campaign Medal, Good Conduct Medal, the Purple Heart and the Bronze Star for Valor. Licking County Engineer Jared Knerr says the County’s application to the Ohio EPA’s Diesel Emission Reduction Grant program has been selected to receive $177,603. This unit will be used to replace two diesel service trucks of model years 1985 and 1990 with new clean diesel powered trucks. The trucks will be purchased by the Engineer in conjunction with the Commissioners, and under the terms of the grant. Licking County appreciates this state support encouraging the purchase of fuel efficient new trucks for the County road maintenance fleet. In cooperation with the Senior Levy Board, your County Commissioners will be appropriating some five to six million dollars to some 26 senior service providing agencies in 2017. I would offer special thanks to the hard working members of the Senior Levy Advisory Board for their efforts to evaluate programs and recommend allocations. The group includes Chairman Dan Hunt, Cindy Webster, Dr. Brian Crock, Sandra Knerr, LeAnn Miller, Albert ‘Hank’ Speaks, Pat Sager and Janet Williams. Pam Jones, Deputy Clerk to the Board of Commissioners, facilitates the Senior Levy allocation process. The critical funding for the some 26 providers of services to our senior citizens comes from the Countywide Senior Levy. County voters generously renewed the Senior Levy in 2014 for a five year period. The 2016 Senior Levy Allocation Board (l-r) – Chairman Dan Hunt, Cindy Webster, Dr. Brian Crock, Sandra Knerr, LeAnn Miller, Albert ‘Hank’ Speaks, Pat Sager and Janet Williams. 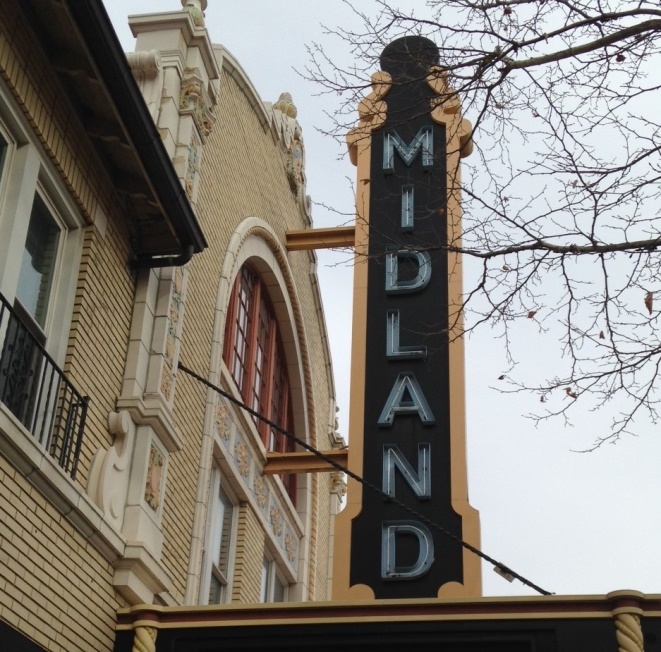 This entertaining evening at The Midland features “We Banjo 3” on Friday, March 17, 2017. A VIP Meet & Greet is at 6:00 pm, live Auction 7:00 pm and Concert 8:00 pm. VIP Tickets: $100* features a meet & greet with the band and light refreshments. Concert & Auction Tickets: $35 – (some ticketing fees may apply). This concert/evening is sponsored by Central Ohio Technical College, DoubleTree by Hilton, Elements, The Energy Cooperative, Licking Memorial Health Systems, Park National Bank, Stella Artois and Waste Away. As we look expectantly toward 2017, we want to thank you for your support of the Licking Park District. Your support has made possible the many projects and programs that make our parks and trails places we can all enjoy. And we need your levy renewal support in May, no new taxes! 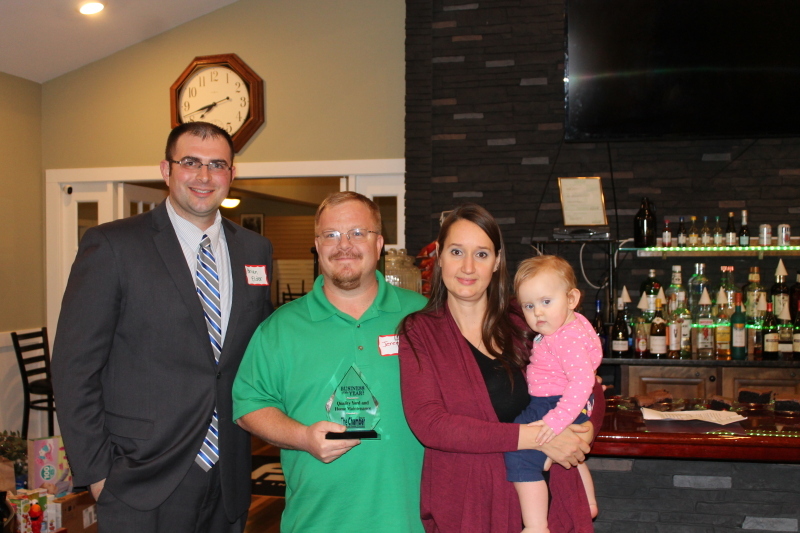 Received by the District was the 2016 Impact Award winner for “Collaboration of the Year” for River Round Up presented by Explore Licking County. And last year program participation increased by 30%, with over 8,500 people attending our expanded program offerings. Successful program additions, such as Paint the Parks, Family Movie Night, the Women’s Outdoor Skills Workshop and Howl-o-ween, drew people from around the county and beyond! Children’s programs with community partners, such as The Works, Camp O’Bannon, Alexandria Public Library, Granville Public Library, Granville Recreation District, and Licking Soil and Water Conservation District, continue to grow. Participants involved with Buckeye Lake 2030 updated community members at a fourth Buckeye Lake community session last month. ‘BL2030’ was created in January 2016 with the vision of making Buckeye Lake a tourism destination, with a wide range of activities for visitors. Future goals include an amphitheater, hotels, live music venues, more restaurants, wineries, breweries, distilleries, organic farms, and a fishing pier. The Administration, Branding and Communication task force has recently launched a BL2030 website, ‘buckeyelake2030.org’. It highlights events happening in the community, information about the BL2030 initiative, as well as an area for people to voice their thoughts. A Water Quality (WQ) task force has been testing water quality levels. Ninety five percent of streams feeding into the lake had very low amounts of phosphorous. They are investigating obtaining their own water testing kits to save the $5,000 per year it currently costs. The task force is also working on increasing dredging of the lake. In 2016, 300,000 cubic yards were removed. On Saturday, February 11th the Heisey Wind Ensemble (HWE) will feature a concert titled “Color My World”. The Heisey Wind Ensemble welcomes Conductor Laureate Richard Blatti for this 7:30pm at the Newark Campus. Featured will be music and colors, including Frank Ticheli’s ‘Blue Shades’, an audience favorite from the 2003-04 HWE Season. For all concerts tickets will be available at the door at the Reese Center on the Newark OSU-COTC. The cost is $15 for adults, $10 for seniors and $5 for students. 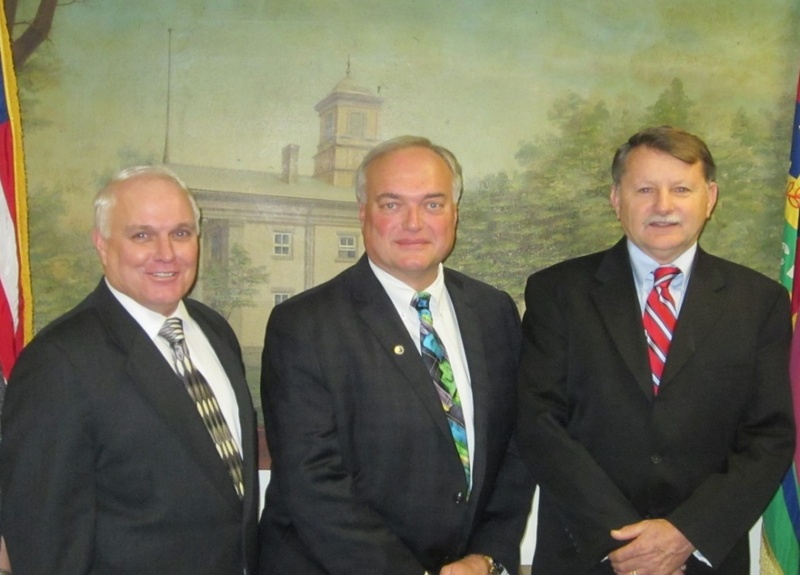 And let me again wish a February 14th, Valentine’s Day, Happy Birthday to my two fellow County Commissioners Rick Black and Duane Flowers. What are the odds these two Commissioners would share the same birthday! You can figure out which one is older! * I would also invite you to keep track on my posts at Tim Bubb on Facebook, and checkout my new ‘Commissioner Tim Bubb’ page on Facebook. I can be e-mailed at tbubb@lcounty.com, and my desk phone number at the Commissioner’s Office is 740-670-5118.